At our core, Stridekick aims to bring people together and foster motivational communities, healthy competition, and more active lifestyles. We want to encourage you to find friends and motivate each other to get active! This article will help you navigate the app, and Stridekick online, as you build these connections. If you are reading this page, we assume you have created your account. If not, no worries! Learn how to create your account or sync your device. 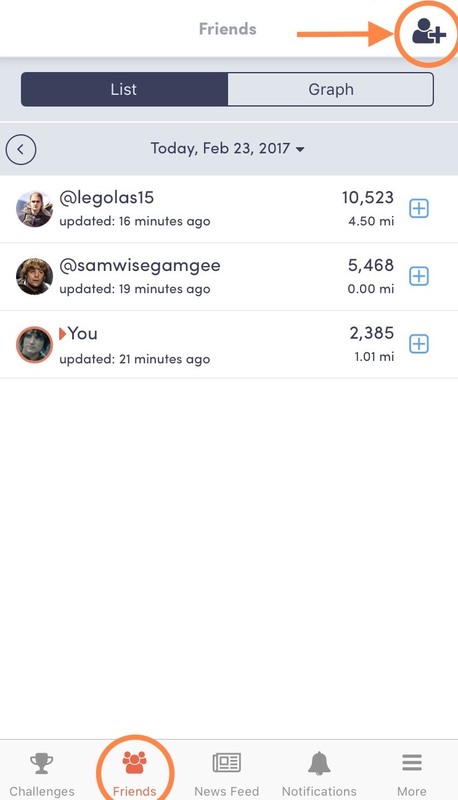 To find friends in the app, click on the “Friends” tab. Here you will see a list of your current friends. Use the icon in the upper right hand corner to search for and add new friends. From the 'add friends' icon, you can share your Stridekick profile on Facebook, Twitter, and through email. You can also copy the link to send via text. 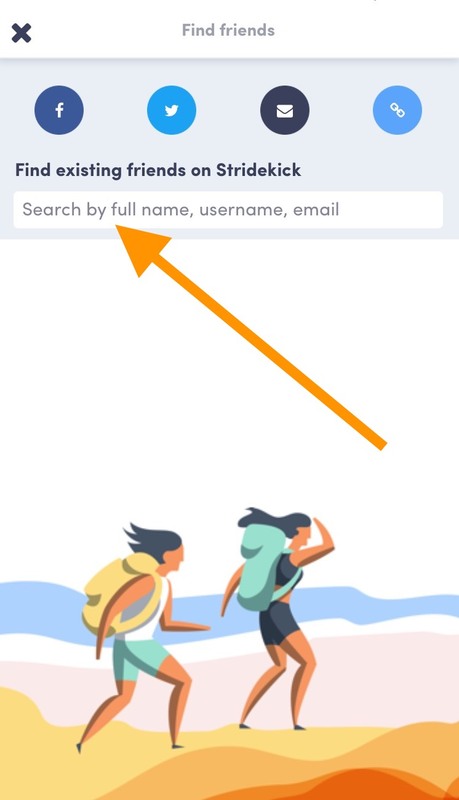 To find existing friends on Stridekick, simply search by username or full name. When you send someone a request, they will receive a notification that they can accept or decline. If you are using Stridekick from a web browser, start by clicking on the “Friends” tab. Here you will see a list of your friends, and options to share your profile on Facebook, Twitter, and Email to encourage others to connect with you. You can click “Find Friends” to search for people by their username or full name. When you send someone a request, they will receive a notification to accept or decline your request.